One of my favorite hobbies is traveling. Taking a few days or a couple of weeks to explore new places or just relax is a great way to reduce stress and improve productivity. While vacations can get expensive, making a travel budget is a great way to plan your next getaway. Since we love to travel, we’ve incorporated it as a line item in our monthly budget. We put aside a set amount toward our travel plans in a separate account. That money is earmarked specifically as a vacation budget so we know we can spend it guilt-free. When we spend money on vacation expenses, we simply reimburse ourselves from the account to cover the costs. With that said, if you have debt you’re struggling to pay off, planning a vacation may not be a good idea. If you don’t have enough money to cover a $1,000 emergency, you’re not alone. More than 60 percent of Americans can’t afford an unexpected expense. In this case, your priority should be setting up an emergency fund with three to six months of living expenses. Why is Budgeting for a Vacation Important? While we do save regularly for vacations, we still create a budget every time we plan our next getaway. This helps us determine how long it will take to have enough in our account to pay for our trip. It also allows us to plan out the logistics while staying on budget. Planning out and budgeting for a vacation is actually one of the best parts. Researching hotel accommodations, restaurants, and fun things to do help build up the excitement. We often spend months figuring out different parts of our trips and enjoying the planning process. 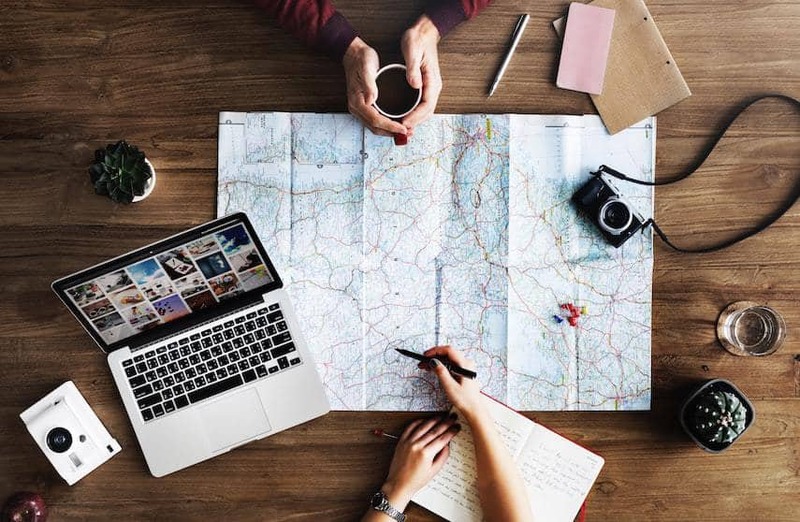 If you’re ready to map out your vacation expenses, there are a few key steps that will help you succeed. To draft a well-rounded vacation budget, you need to focus on expenses in five main categories. Once you have these figured out, the details for your trip will fall into place. The first step is picking your destination and your travel dates. Keep in mind that some destinations are more expensive than others. Also, the time of year can make a difference in pricing. If you’re planning to go on a vacation at a popular time of year, you may end up paying more. One of the best ways to save when budgeting for a vacation is by being flexible. Check out a few different travel destinations and look at prices for lodging and airfare. Since these are two of the biggest expenses in any travel budget, keeping those in check will go a long way. If you want to stay within your budget, flexibility will be your biggest asset. Be willing to look at alternative accommodations or stay at a place further away from the tourist areas. Keep in mind that you’ll likely spend very little time in your hotel room. There’s no reason to spend a large chunk of your budget on a nice hotel when you’ll only be there to sleep. Also, be flexible with your dates. Many travel search engines have a “flexible dates” option. Use it to research the lowest prices for airfare and lodging during a certain month. Plan your travel around these dates for added savings in your travel budget. When it comes to your travel budget, what season you choose for your trip can make a big difference. This may sound crazy, but we planned our wedding around our honeymoon (and not the other way around). We knew we wanted to go to Italy but didn’t want to spend a fortune. We also wanted to avoid the large crowds of tourists while still enjoying nice weather. This is why we got married toward the end of September, which is known as the shoulder season. It’s a great time of year to travel because the weather is still nice but crowds have thinned out. Many people have kids and tend to travel during the summer. Once kids are back in school in September, prices for airfare and accommodations tend to drop. Since we like to take an annual trip to celebrate our anniversary every year, we continue to reap the benefits of getting married during the shoulder season. Hotel and airfare costs tend to go down right after Labor Day while the weather is still nice in most parts of the world. When drafting your travel budget worksheet, make a plan for the biggest expenses first. This includes transportation, accommodations, and food. 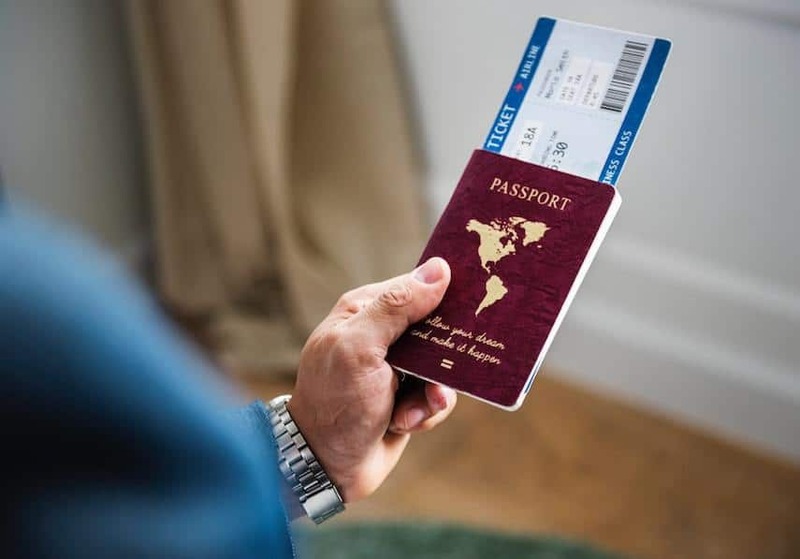 Covering the big three on your travel expense spreadsheet will go a long way toward helping you put together your overall vacation budget. If you’re planning a trip to a close by destination, this line item will probably be pretty small. However, if you’re hopping on a plane, it could take a big chunk out of your travel budget. Research prices on multiple airlines for cheap travel deals and consider taking a connecting flight. If you live near more than one major airport, check out the price of flights from each one. You may be surprised at the difference. Do you live near a major airport hub? Flights on airlines to and from hub cities tend to be cheaper travel. For example, both American Airlines and Southwest Airlines are headquartered in Dallas. Flights on those airlines tend to be the cheapest travel to and from Dallas. Another large expense in any travel budget is lodging. There’s a wide range of options when it comes to picking out a place to stay at your destination. Some options include staying in a hostel, hotel, bed and breakfast, or an apartment. If you’re going camping, you can stay in a cabin, rent an RV, or sleep in a tent. Rather than being brand-loyal to a particular hotel, consider using a site like Hotels.com to compare different hotels at your destination. Keep in mind that you’ll likely not be spending much time at your lodgings. You’ll be out sightseeing and exploring. The closer the accommodations are to major attractions, the more expensive they’ll be. Consider staying somewhere off the beaten path to save money. If you’re going with a group of people, consider sharing accommodations. For example, you can rent out a house or condo with multiple rooms and split the costs. This will also give you access to a kitchen so you can cook and save money on food. When we go skiing or to the beach, we usually share a house or condo with other couples and take turns cooking dinner. One of the trickiest line items in a vacation budget is food. If you’re trying to save money, pick a place to stay that has a kitchen or at least a refrigerator and microwave. This will allow you to buy some of your own food at the grocery store. You can still enjoy going out to eat a few times during your trip but balance it out by making some of your own food. Another great way to save money on food is to stay in a bed and breakfast or a hotel that includes breakfast. Some hotels such as Homewood Suites or DoubleTree offer both a kitchen area and a hot breakfast, which is great for saving money. Drinks out can also quickly add to your bill, so buy wine or beer for your room to keep your travel budget in check. If you’re planning on eating out, try going out for lunch instead of dinner. Lunch is usually cheaper than dinner and you’ll be able to sample many of the same foods for less. You’re also less likely to order pricey alcoholic beverages during lunch. Once you have your larger expenses planned out, it’s time to focus on the extras. Don’t forget to include sightseeing, entertainment, and gifts in your vacation budget. Research activities you want to do and places you want to go during your vacation. With the internet at your fingertips, it’s easy to get an idea of the associated costs and budget accordingly. Don’t forget to plan for gifts and any necessary vaccines. Leave a buffer in your budget to account for any surprise expenses. It’s always best to plan for more and spend less than the other way around. Once you have a rough idea of how much you’re going to spend on your vacation, it’s time to figure out how you’re going to pay for it. Take the total amount of your travel budget and divide it by the number of months you have until you leave. For example, if you’re leaving in nine months and you plan to spend $2,700, you’ll need to set aside $300 every month. If the amount you need to save seems too large, you have two options: adjust your timeline or make extra money. You can move your trip a few months out until you have enough money saved or you can look for ways to increase your income. 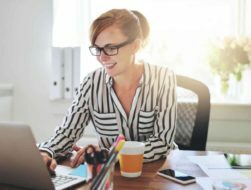 There are many different ways to make money on the side, which can go a long way toward helping you reach your savings goal. Creating a travel budget won’t matter if you don’t stick with it. This is why it’s important to track your spending and make sure you stay on top of it while on vacation. Don’t stress yourself out over every penny but make sure you don’t go overboard. You don’t want to have any nasty surprises when you look at your statements after you get home. One of the easiest ways to track your spending while on vacation is with a budgeting tool like Personal Capital. Alternatively, you can track your expenses in an Excel spreadsheet or with pen and paper. Whatever you use, make sure to keep it updated and check it regularly. While it’s not necessary to create an itinerary when budgeting for a vacation, it really helps me stay on track. The best way I’ve found to do this is by using an Excel spreadsheet. Make a rough outline with a separate entry for each day of your vacation. Fill in your travel information and any schedule activities such as sightseeing tours. Make a separate column to the side and list out all the activities you’d like to do during your trip. Group together any activities that are in the same area of town and jot down how long do you think each one will take. Now it’s just a matter of slotting them in under the different day headers for either the morning or afternoon. Try to group together activities or sightseeing in the same part of town. Once you have a rough idea of your schedule, you can figure out food and restaurants. The itinerary is meant to be flexible, not restrictive. Move things around until you find the right balance. Next to each entry on your list, write out a rough estimate of the associated cost. Adding all of the costs at the bottom of your spreadsheet will help you estimate your travel budget. Don’t feel like you have to follow the itinerary word for word. Use it as a planning tool and focus on enjoying your trip. 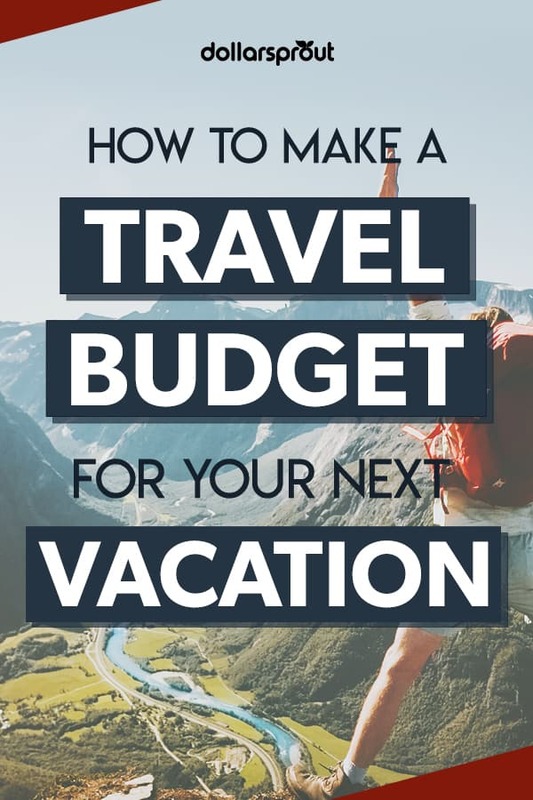 Even though it may seem like creating a travel budget can be a hassle, it’ll actually make your vacation far more enjoyable. Knowing that you’ve already planned out how you’re going to pay for everything will help you relax and have a good time. Having a vacation budget means not stressing about money when you get home. It allows you to plan out in advance how much you can afford to spend and save up the money. Budgeting for a vacation means not worrying about opening your next credit card statement. Veneta Lusk is a freelance writer who loves empowering people to get smart about their finances and health so they can live their dreams. After becoming debt free, she and her husband created a flexible lifestyle so they can travel more, focus on fun projects, and spend time with their children. When she’s not writing or hanging out with her family, she enjoys reading, baking, and planning the next big adventure.